Each session is run by at least two supervisors and two other members of staff (either supervisors or assistants). 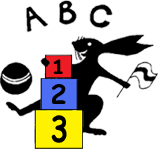 This gives a high adult to child ratio of at the very least 1:4 for under threes and 1:8 for the over threes. Paula Kirby-Norridge Pre-School Manager. Level 3 qualified Early Years Practitioner, Policies and Procedures. Over 20 years’ experience at New Marston Pre-School. Viv Westwood Deputy Manager. Level 3 qualified Early Years Practitioner, Safeguarding Officer. Over 10 years’ experience at New Marston Pre-School. Mandy Whitehouse Senior Level 3 Practitioner. Level 3 qualified Early Years Practitioner, Communication, Language Literacy Co-ordinator. Over 10 years’ experience at New Marston Pre-School. Yasmeen Akhtar Level 2 Practitioner. Level 2 qualified Early Years Practitioner, SEN one-to-one support worker. All members of staff are DBS checked (Disclosure and Barring Service; CRB checks are now called DBS checks), have current paediatric first-aid qualifications and regularly attend relevant courses to further their skills. Those members of staff that are involved with snack times have food hygiene level 2 qualifications. All staff members have had considerable experience in their field and the majority are parents or grandparents of children who have previously attended the Pre-School.